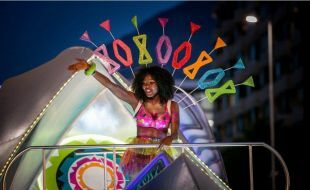 The streets of Cape Town come alive on Saturday 16 March 2019 when the Cape Town Carnival brings its special magic to the Mother City. Enjoy an afternoon of colour and creativity on Green Point’s famous Fan Walk and round the day off with an open air after party. We’ve put together some great accommodation offers to make it easy to enjoy the atmosphere for the whole weekend. And with our hotels being perfectly located in the heart of the action, your carnival experience is sure to be a memorable one! As an added bonus, 2 kids under 18 stay and eat breakfast free when sharing a family room with 2 adults. Tsogo Sun is proud to be the official hotel partner to the Cape Town Carnival.